Throughout vast swaths of New York City, members of the city’s vast middle class work force can barely afford even a modest apartment. Yet for years after the post-crisis housing market recovery began, that reality did little to slow down the rise in home valuations as foreign capital and rock bottom interest rates fueled a buying frenzy, pushing rents ever-higher. But after citywide rents peaked in 2014, the NYC housing market, particularly the most expensive areas of Manhattan, has started to soften. But whereas only a few quarters ago that weakness was largely confined to the top tiers of the city’s housing market, the pressure on sellers to lower their asks has swiftly spread. 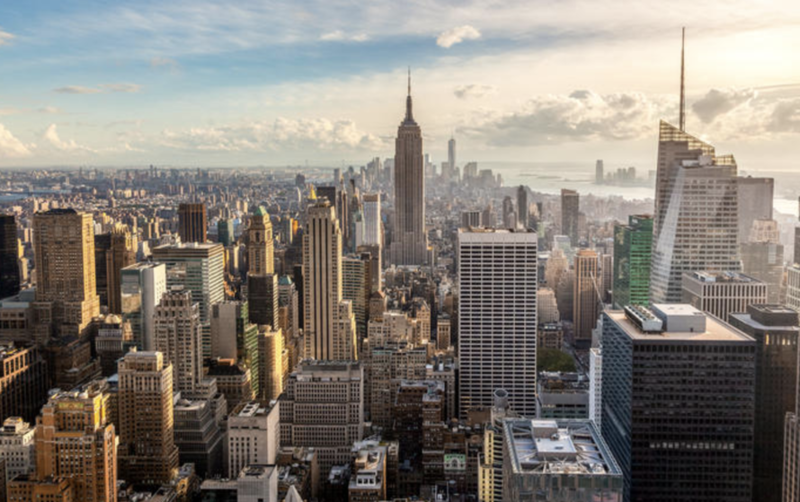 Now, in almost every neighborhood in Manhattan and in nearly every one of Brooklyn’s trendiest neighborhoods, more than one-fifth of sellers have been forced to lower their asks – sometimes substantially so – as mortgage rates rise and global growth begins to slow. 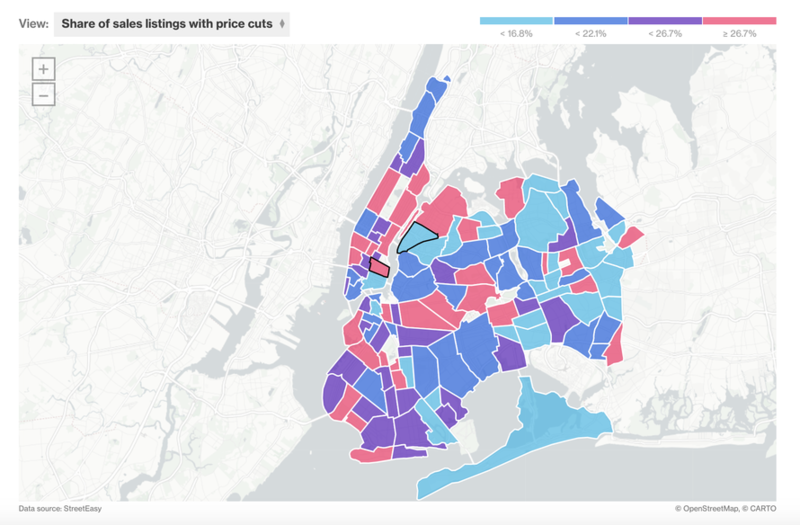 In almost every Manhattan neighborhood, at least a fifth of the listings got a price cut in the last three months of 2018, data from StreetEasy show. The biggest share was in the East Village, where 33 percent of homes were offered for less. In Brooklyn, 21 percent of listings in trendy Williamsburg were reduced. The share was 22 percent in nearby Greenpoint, and 39 percent in Fort Greene. Unsurprisingly, one exception to the trend of price declines in trendy neighborhoods is Queens’ Long Island City, soon to be the host of Amazon’s new HQ2 (or one of them, at least). Only 12% of sellers in LIC had to lower their expectations. As we pointed out earlier, the softness in NYC is having a knock-on effect on markets outside of NYC: In tony Greenwich, Conn., home sales plunged during Q4 as buyers who were forced to lower the ask on their NYC apartments cut their budget for homes in Greenwich. And with brokers warning about the looming impact of Trump’s SALT elimination, sellers who are holding out for a better price might soon wish they had sold sooner.